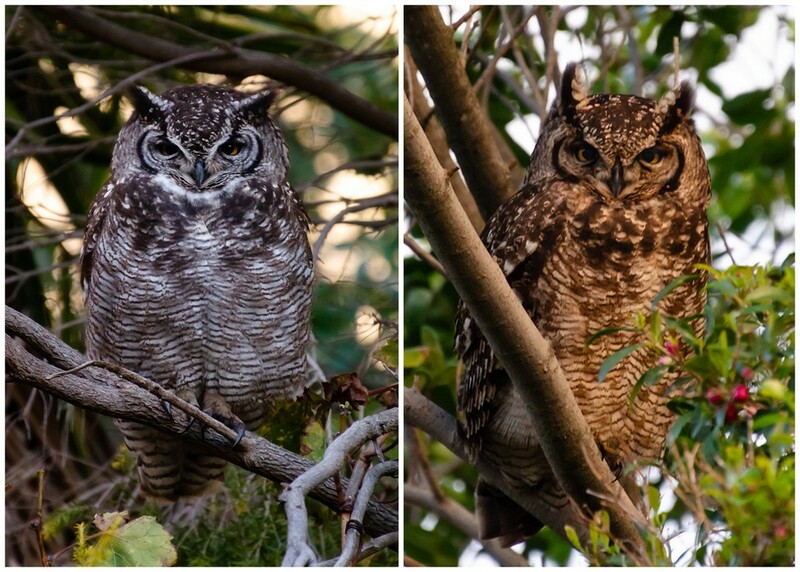 This is a collage featuring the Spotted Eagle owl pair that are currently visiting our garden. We believe that the owl on the left is the male and the one on the right the female. You lucky lucky thing. What a privilege, hope they stay long and return next year. Amazing to have these in your garden! A spotted eagle owl - never heard of them! Are they eating your mice? How great to have these in your garden! How wonderful to have these two magnificent birds in your garden. How nice that you should see them in your garden. I wonder if there will be any babies on the horizon. Such lovely markings. I wouldn't have a clue which is which though!